How to apply for the Selangor's 'Peduli Sihat' card ? Another initiative by Selangor state government, the 'Peduli Sihat' scheme launched in December 2016 was aimed to encourage the health conscious of Selangor people so that they stayed healthy and productive. Any term and condition apply? How to apply for it? One of your financial resolutions this year may be to start investing to grow your wealth and stocks is one vehicle that helps you earn gains on your money invested. But where do you start? The Bursa Market Place by Bursa Malaysia Bhd makes investing in stocks a lot simpler. It allows you to trade, clear settlements and make depository services, and it is free to use. One of the handier features is the 'The Market', a place where you can analyze stocks based on volume trading, price movement, and dividend payouts. There are tools built into the platform which helps you analyze the stocks more simply including Analyst Consensus, Stock Screener, AlphaFactor, Heat Maps, and Daily Espresso. 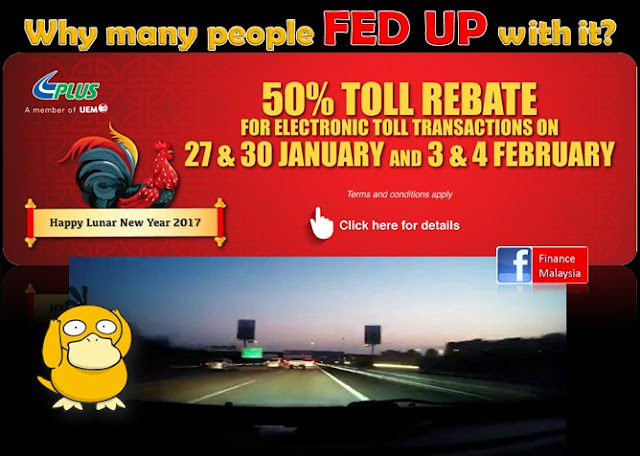 [PLUS Chinese New Year 50% Rebate] Why many people fed up with it? In conjunction with the upcoming Lunar New Year holidays, operator of the North-South Expressway (NSE), PLUS Malaysia Berhad (PLUS) has identified several strategies to distribute traffic and strengthen its highway operations to assist the public to enjoy a smoother journey on the mainline. Based on previous festive seasons travelling patterns, PLUS expects traffic on the NSE will be at its peak on 26th, 27th, 28th, 29th, 30th and 31st January as well as 4th and 5th February.